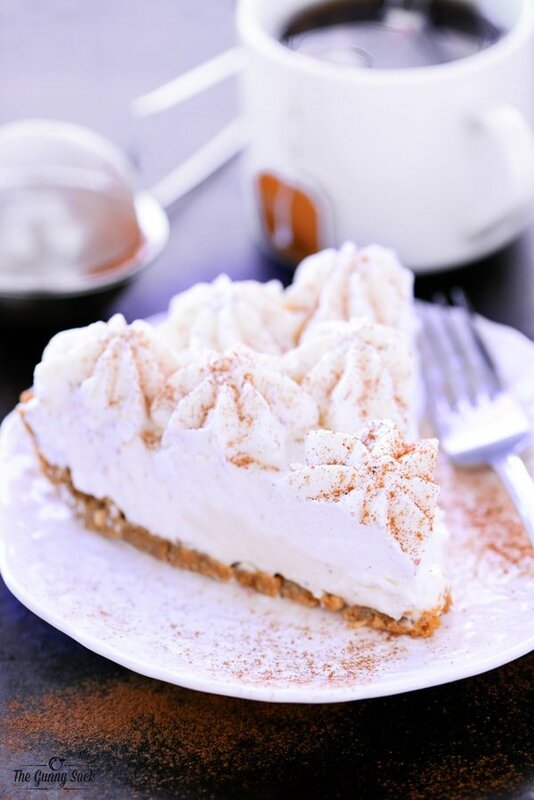 This holiday dessert recipe for No Bake Eggnog Cheesecake with a gluten free graham cracker crust was created as part of a sponsored post for Pamela’s Products. Oh, the flavors of the holidays…peppermint, eggnog, and gingerbread along with classics like caramel, cinnamon, and chocolate. Where does one even start? We all have so many favorite holiday desserts and that is one of the reasons why we do so much baking this time of the year! Although no one in my immediate family is gluten free, I have extended family members, friends of mine and friends of my kids who are. It’s good to have some gluten-free desserts available at your holiday dinners and parties. Today’s recipe for No Bake Eggnog Cheesecake is made with a gluten free graham cracker crust using Pamela’s Honey Grahams. It’s a light and airy version of eggnog that you can eat rather than drink! 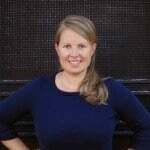 Pamela’s Products from All-Purpose Flour, Bread Mix, Cake Mix and Cookie Mix makes gluten free holiday baking easy! And Pamela’s allergen-friendly mixes can be substituted one-for-one in most of your traditional holiday recipes, but without the measuring, guesswork and general hassle that usually comes with gluten-free baking. 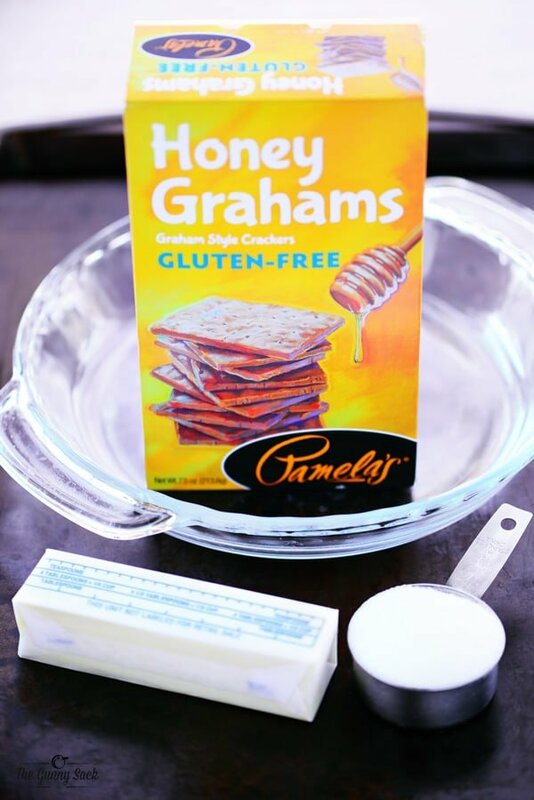 To make this gluten free crust, I used a package of Pamela’s Honey Grahams. Mix together the crushed graham crackers, melted butter, granulated sugar, and ground ginger (optional). Press into a 9-inch pie pan. 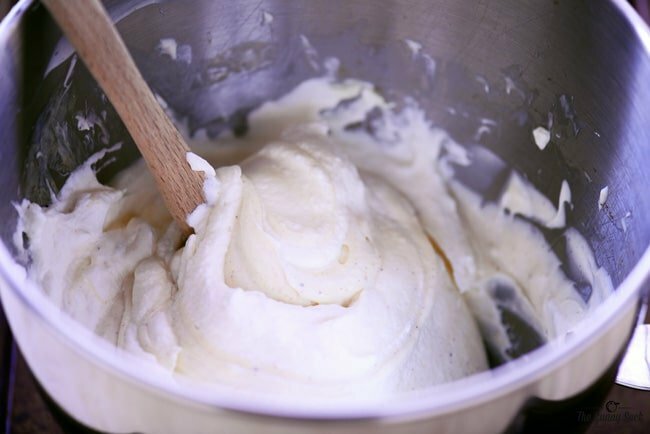 Fold the whipped cream into the cream cheese and eggnog mixture. 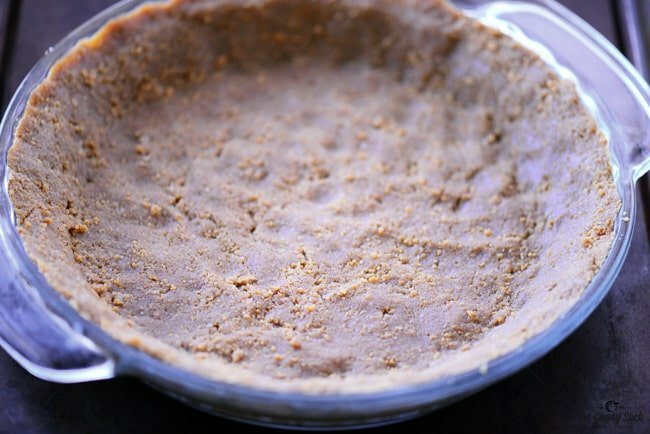 Spread this filling over the pie crust. Pipe whipped cream over the top of the eggnog cheesecake. 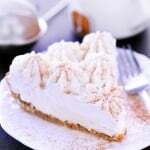 I used a large star tip, but you can spread it over the top if you don’t want to pipe the whipped cream. Beat the heavy cream in a cold metal bowl until thickened. Half of the whipped cream is for the filling and the other half is for the top. Stir together graham cracker crumbs, melted butter, granulated sugar and ginger (optional). Beat softened cream cheese until smooth. Beat in the granulated sugar. Beat in the eggnog, vanilla and ground nutmeg until smooth. 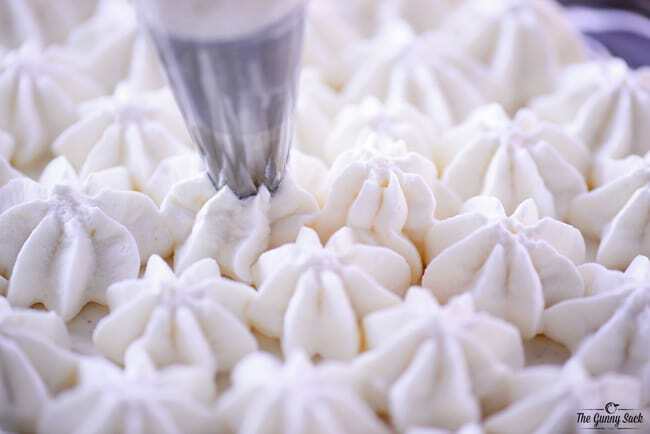 Fold in two cups of the prepared whipped cream. 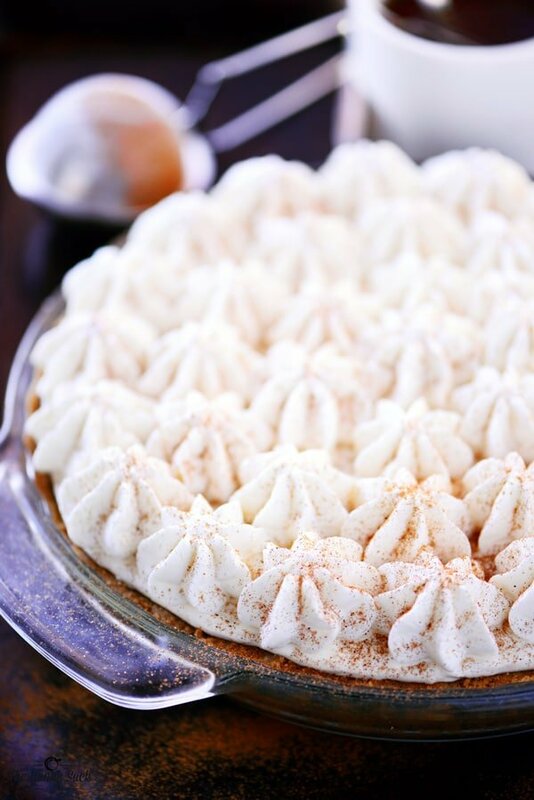 Top with remaining whipped cream and sprinkle with cinnamon and nutmeg. Place in fridge to set. Keep refrigerated until ready to serve. I have to try this Tonia! It looks gorgeous and delicious!! This looks amazing! In the recipe squares come up in front of amount for sugar and butter? It does this in other recipes as well.What is square amounts? Thanks. This pie looks like a dream!! Perfect dessert for a special occasion! I can just imagine how creamy this is! LOVE eggnog! I didn’t know they have gluten-free graham crackers! How cool. And I totally thought this was going to use a pudding mix in the filling. I’m so happy it doesn’t! 🙂 I hope to give this a try soon! Yes! And they are so good! Thanks Erin! I love a good no bake cheesecake! This one looks incredible! I think I would say the same thing as your four-year-old niece if I had a piece of this cheesecake! She’s a pretty smart little girl! My boys had me pick up some eggnog at the store just this past weekend – I think I know what to make! This looks amazing Tonia! I’m pretty sure my husband will say he needs this in his life. He’s crazy for eggnog. Thanks for the recipe!